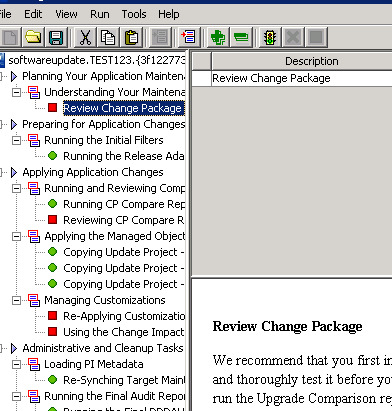 PUM provides very extensive and deep level of control to Administrators to create the Change packages. 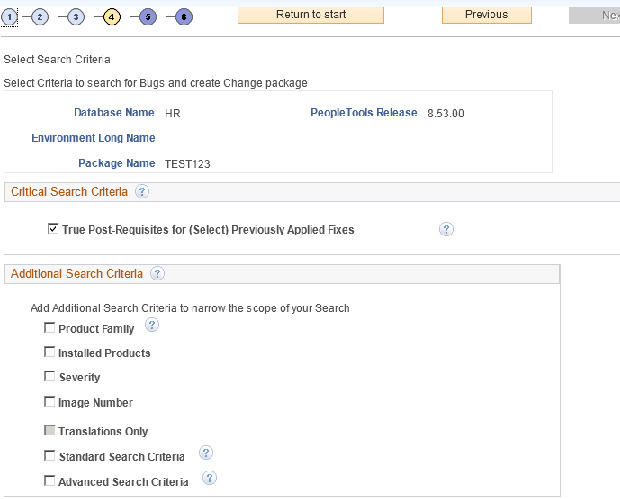 No more search,download for patches from Oracle support site. 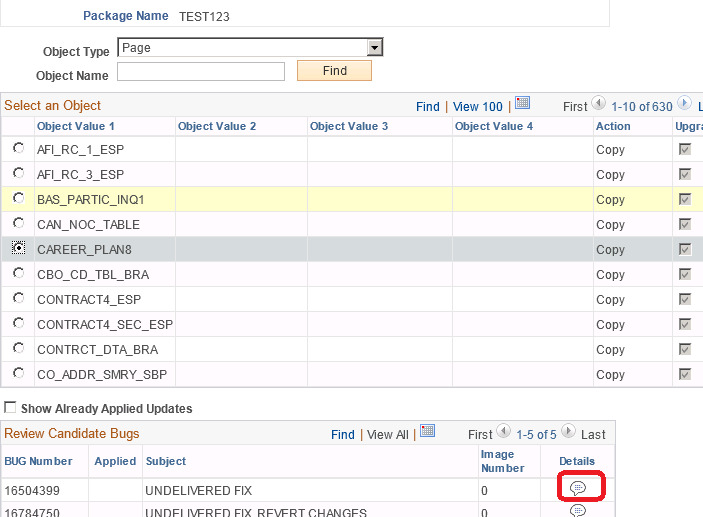 Every PeopleSoft image is coming as a cumulative set of all the bugs. Lets concentrate on how to configure the PUM and how does it look. 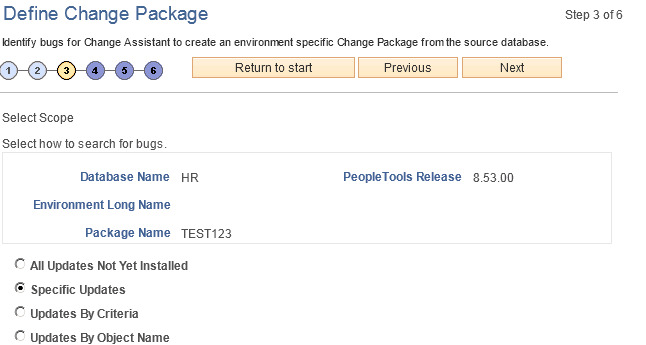 Configure PUM and Usability of PUM for Change packages. The result will be like this and the highlighted file is the concatenate one. 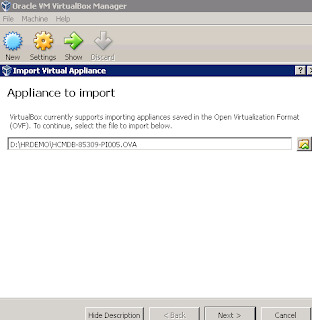 Download the Oracle VirtualBox software from https://www.virtualbox.org/ and install it. Open VirtualBox, go to File>Import appliance and give the path of the concatenate file. 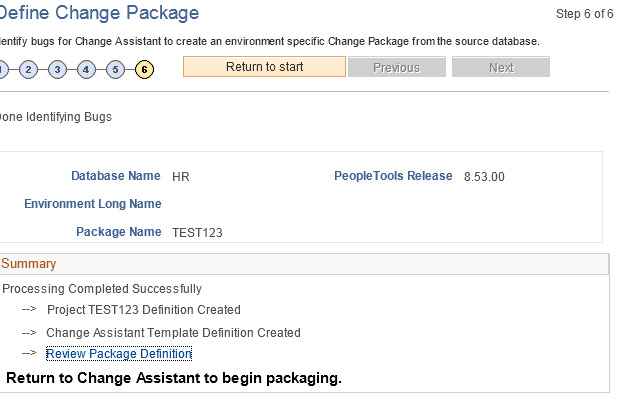 For installing Change Assistant, copy the setup folder from the tools client supplied in the Peoplesoft image. 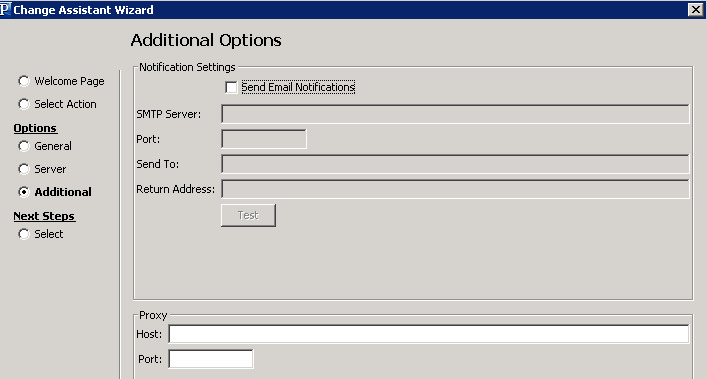 go to run and type in //<ip_address of image> and the shared folders will be accessible. 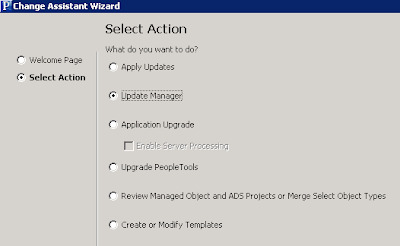 after the CA is installed click on the icon to open it. 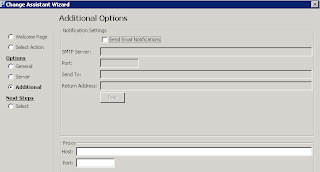 it will go to the "general" options where you need to fill out the necessary directory details. The PUM directory is the pi_home directory of the shared folders of the image. to communicate with each other. Make sure the ping returns OK as shown. 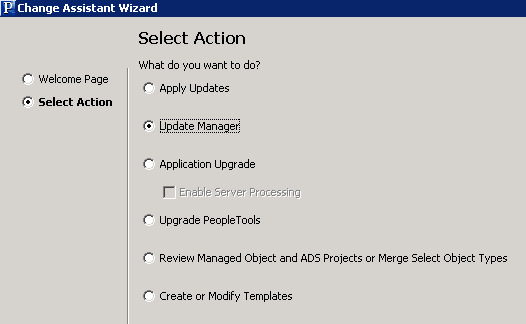 The CA will now ask for the target database details as shown.Click the radio button. 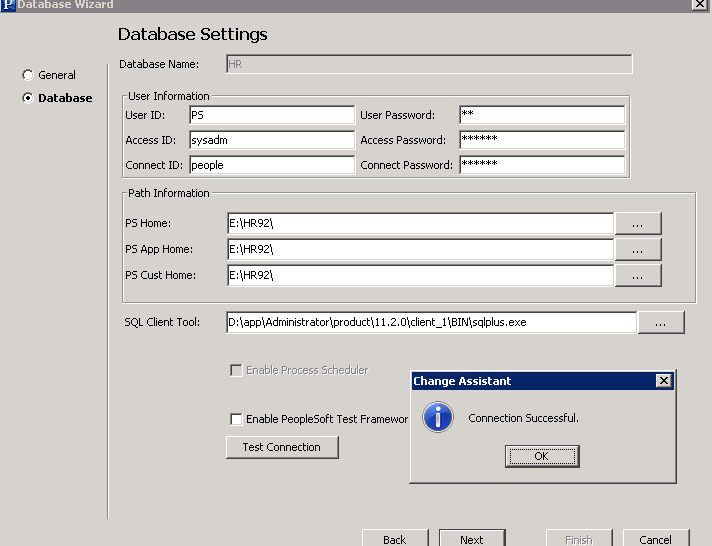 Once the environment is selected the CA asks for the target Database details. 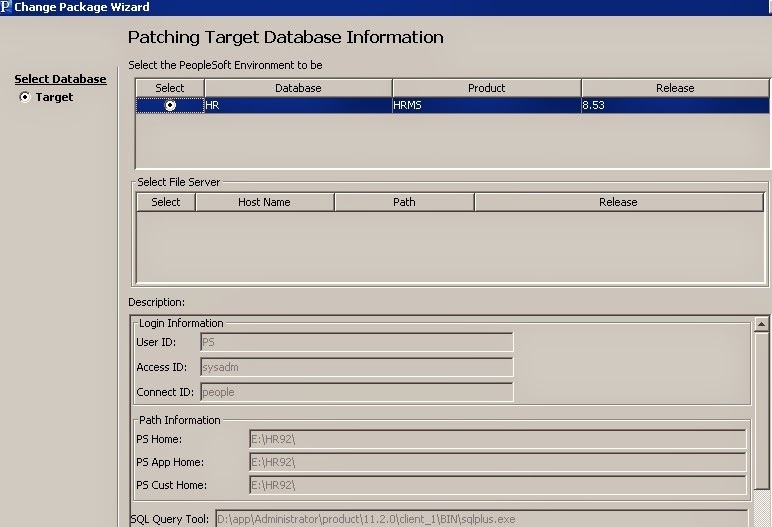 Click next after CA has picked up all the target database details. 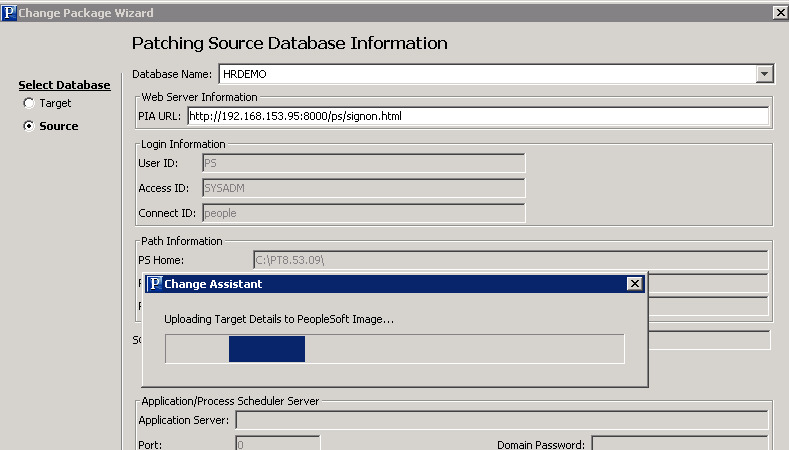 Now the CA will as for the Source database details (PeopleSoft Image that I installed). 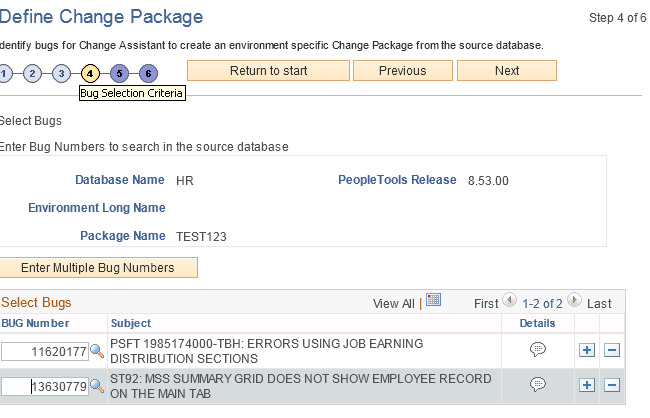 as shown and click next.The CA will start uploading the target database details to the Image. 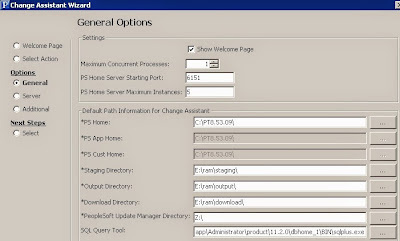 Now click on the 'Open Browser and Connect to PI datbase' which will open the Image PIA. 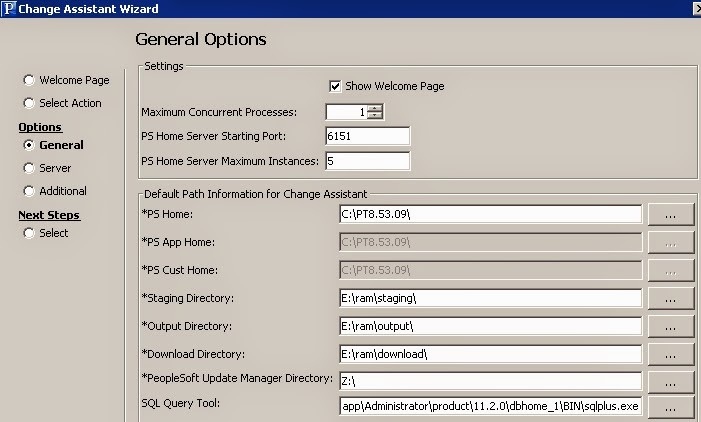 Please move to Part 2 "Configure PUM and Usability of PUM for Change packages"
This error is a pestering one, encountered when you are creating any Application server domain. 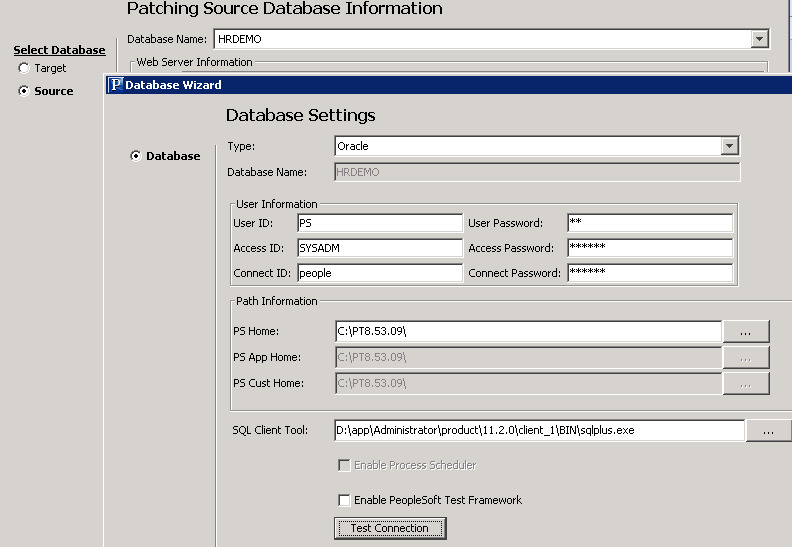 In the latest tools versions 8.53 oracle has removed some of its executables from the setup folder. 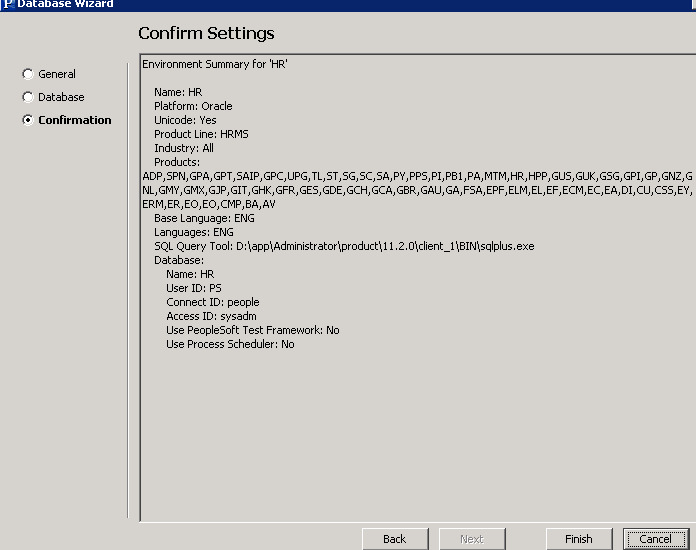 like you had vcredist_x64 in earlier tools versions which fixed the missing dlls files required for peoplesoft in Windows. This error in my case was specifically due to missing dll and because of unavailability of vcredist_x64 in 8.53 PS_HOME, its difficult to get it resolved. 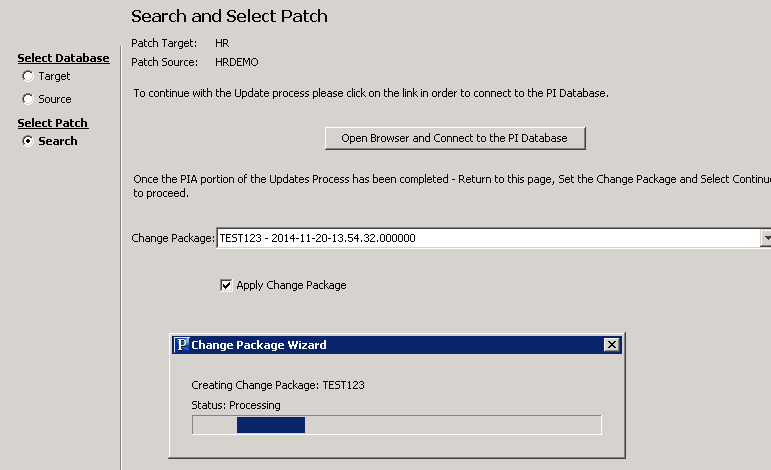 You can download vcredist_x64 and fix the issue.